We enjoyed helping to raise money for Comic Relief. 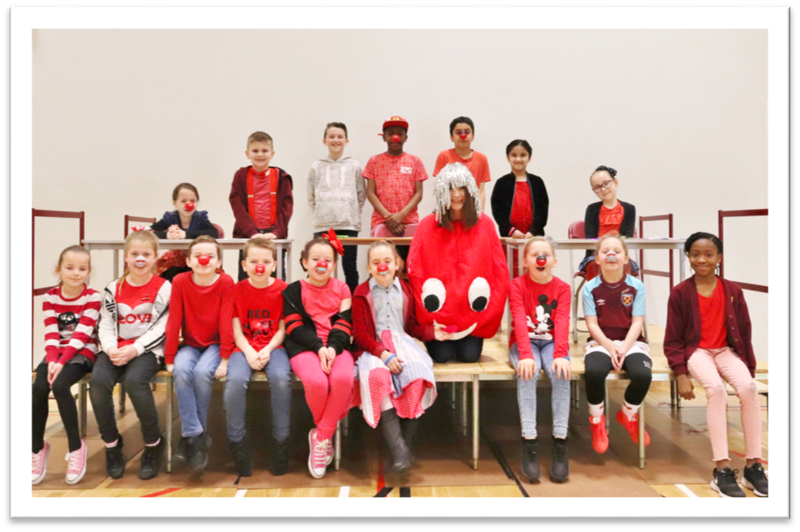 We sold over 400 red noses at playtimes during the week leading up to Red Nose Day raising £500! 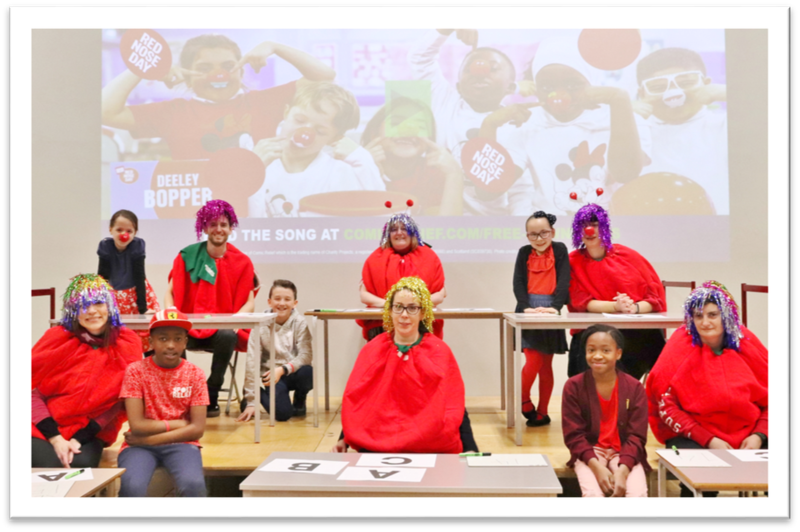 The whole school enjoyed a Comic Relief themed assembly and some of the teachers took part in a quiz dressed as red noses! The total amount raised was £914. Thank you to everyone who took part in our competition to guess the number of red noses on the back page of our booklets. Well done to Jocelyn in year 5 who came closest to guessing the right number with an estimate of 243. The correct number was 240.